“Shiki SPARKLING”　series could be enjoyed by seasons. 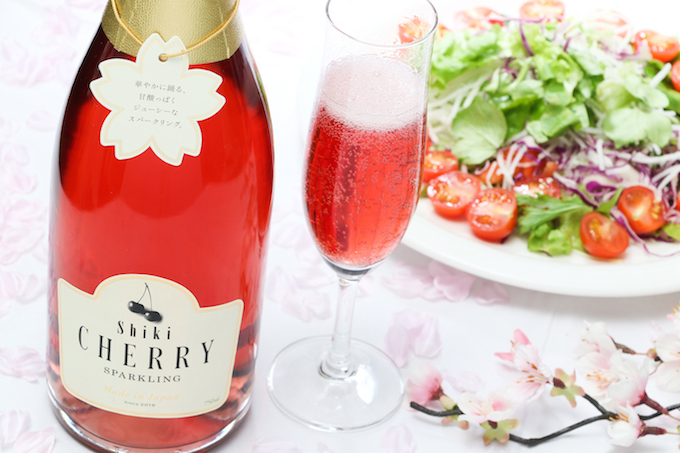 The second product,　“Shiki CHERRY SPARKLING”,　was launched in 15th Feb,2017. Self-manufacturing muscat wine and cherry juice were used. The best feature is elegant fragrance of cherry and mellow taste of muscat. Unique carbonation technique made it bubble and refreshing. Artificial colorants are never used. Let’s produce a gorgeous toast whit this dark pink Cherry Sparkling!